If you've been waiting to make a move, today is the day. Global stock markets are rising, oil prices are up and central banks are throwing their weight around. 1. Turning Japanese: The Bank of Japan has taken a new, unexpected approach to monetary policy by introducing a long-term interest rate target of around 0% for 10-year Japanese government bonds. This is its latest attempt to stimulate the country's stagnating economy and pull Japan out of deflation. The news gave global stock markets a lift, with U.S. stock futures, European markets and Asian markets all rising. Japan's Nikkei index, in particular, surged 1.9% as the yen dropped. But some analysts were underwhelmed. "If you take the time to read through these measures, then the impression is of a central bank that has largely lost the monetary plot and is undertaking an ever more complicated and convoluted approach to monetary policy," said Simon Smith, chief economist at FxPro in London. 2. Now turn to the Fed: All eyes will be on the Federal Reserve's interest rate decision at 2 p.m. 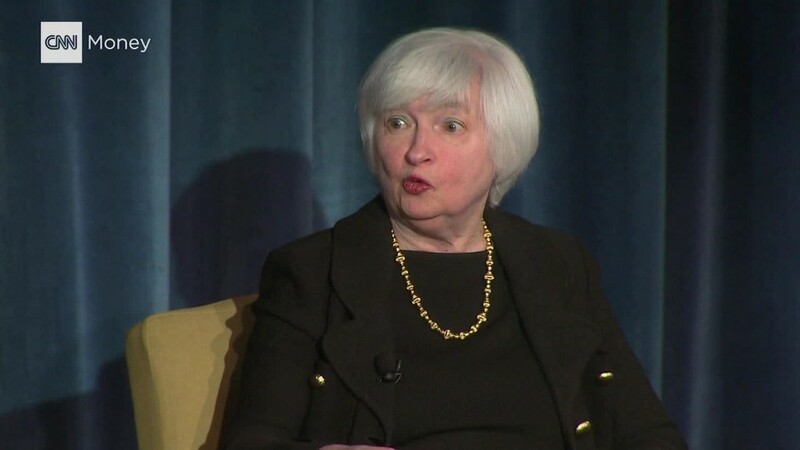 ET, followed by Janet Yellen's press conference 30 minutes later. The Federal Reserve has held off on raising interest rates for months in an effort to ensure the U.S. economy is on a solid footing. It raised rates in December 2015 and hasn't made a move since then. Wall Street sees a very low chance of another hike today, putting the odds of a rate increase at just 12%, according to CME Group. 3. Market movers -- Adobe, FedEx, oil: Adobe (ADBE) stock is surging in extended trading after the company issued an earnings report that beat analysts' expectations. It's the same story for FedEx (FDX), which also reported quarterly results on Tuesday after the close. And crude oil futures are rising by 2% to trade around $45 per barrel, which could be supporting the wider market. However, oil prices could be volatile today as the U.S. Energy Information Administration reports weekly crude oil inventory data at 10:30 a.m. Traders react quickly when the data shows an unexpected rise or fall in inventories. 4. Earnings: CarMax (KMX) and General Mills (GIS) will report ahead of the open. Bed Bath & Beyond (BBBY) will post earnings after the close. 5. Mylan and Wells Fargo in hot water: Mylan (MYL) CEO Heather Bresch is facing Congress Wednesday to answer questions about controversial price hikes for the company's life saving allergy treatment, EpiPen. "I think many people incorrectly assume we make $600 off each EpiPen," according to Bresch's prepared testimony, which was obtained by CNNMoney. "This is simply not true." And Wells Fargo (WFC) could be in for further embarrassment as rumors swirl that famed investor Warren Buffett is set to berate the bank's CEO, John Stumpf, for its fake account scandal. Buffett's company Berkshire Hathaway (BRKB) is the biggest investor in Wells Fargo, with a 9.5% stake.